As the FIRST Robotics Competition build season comes to a close and the competition season comes to an open, high-school students across the globe are frantically putting the finishing touches on their robots. The sound of drills and the smell of pizza fill the air. FIRST Robotics Competition is a high-school-level robotics competition where teams of high school students build a robot in six weeks to compete in a game, which changes annually. This year’s game is FIRST Steamworks. The build period started on January 7, 2017, and will end on Tuesday, February 21. February 18 and 19 will be your first chance to see these robots—or their . . . prototypes. Across the state, there will be several week-zero and pre-ship competitions that weekend, a list of which can be found here. This isn’t the type of competition for you if you like to see polished-quality machines, but if you are interested in getting an inside look at robots when they are nearly complete, stop by one of them. My favorite week-zero event would have to be the Centurion Krawler Week Zero Invitational at Centennial High School from 7:00 a.m. to 4:00 p.m. on the 18th. This week zero event has a community feel to it, and because many quality teams attend it, you can often see a working robot by the first match. This event also has raffles and concessions to fundraise for future events. These events are free to attend. 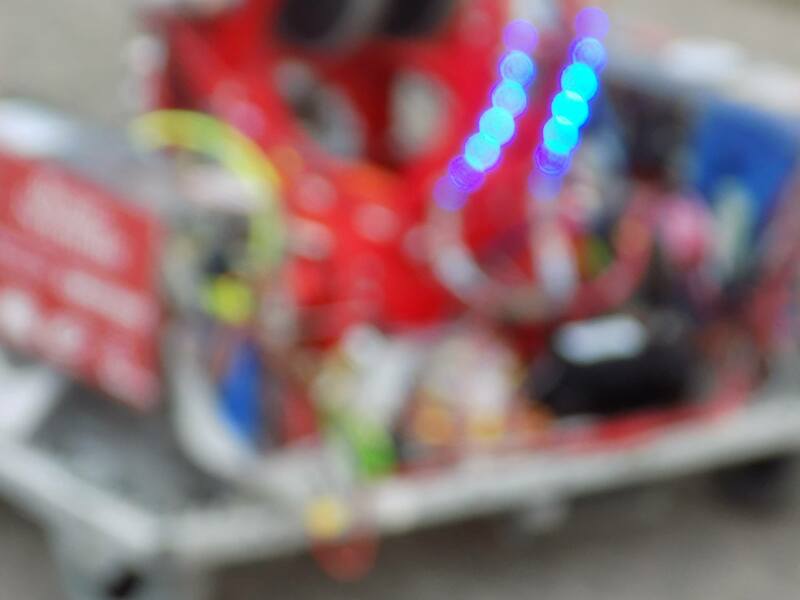 Some robotics teams host robot reveal nights and open houses right around the end of the build period to showcase their robots to their local communities. They can usually be found on the team websites. The team that I graduated from, the FireBears, will be holding an open house in the Roseville Area High School Lower Gym from 7:00 p.m. to 9:00 p.m. on Monday, February 20. These types of events are good for asking questions about the robot and connecting with your local team. They are generally free to attend, but some teams use them as fundraisers. After the build period ends, there are seven weeks of competition before World Championships. Minnesota teams tend to participate in one of six regional events: Northern Lights; Lake Superior; Iowa Regional; North Star; 10,000 Lakes; or the Seven Rivers Regional. A recommendation to newcomers to these events is to look up the event at the Blue Alliance and watch the game animation so that you have some idea of what is going on. I would also recommend bringing a pair of your own safety glasses if you would like to check out the pit area, and taking part in pastimes such as collecting robotics team buttons. If you have been to a couple of robotics events before, I would consider becoming a volunteer—more information about volunteering can be found here. The Northern Lights and Lake Superior regionals both take place in Duluth at the Duluth Entertainment Convention Center (DECC) during week one. These two regionals are colloquially known as the Double DECCer regional, as it is two regionals happening simultaneously in one building. This takes place Friday, March 3rd, and Saturday, March 4th (with practice matches happening on March 2nd and load-in on March 1st if you want to volunteer). This regional is impressive, as it turns the city of Duluth into the city of robots for a weekend. More information can be found here. The Iowa Regional is a relatively new regional, taking place during week four at the McLeod Center in Cedar Rapids. This takes place on Friday, March 24, and Saturday, March 25 (with practice matches happening on March 23 and load-in on March 22 for the volunteers). I have never been to this regional, but I have heard it is fun. More information can be found here. The North Star and 10,000 Lakes regionals take place during week six on the University of Minnesota campus. This regional is probably the most accessible to people living in the Twin Cities. The North Star regional takes place at Mariucci Arena and the 10,000 Lakes regional takes place at Williams Arena. This takes place on Friday, April 7, and Saturday, April 8 (with practice matches on April 6th and load-in on April 5th for the volunteers). This regional is very cool; there’s no other way to describe it. Having the robots in Mariucci and Williams arena is very validating to my inner nerd, and the various displays throughout the hallways by various U of M engineering clubs, like their Solar Car club, give me hope for the future. More information can be found here. Finally, the Seven Rivers Regional takes place during week seven at the La Crosse Center in La Crosse, Wisconsin. I have never been to this regional either, but I have heard good things about it. This regional takes place on April 14th and 15th (with practice matches on April 13th and load-in on the 12th). More information can be found here. Every year, a Minnesota team qualifies for the World Championships. This year there are two championship events: one in St. Louis, Missouri, and the other in Houston, Texas. More information will be available closer to the event here. Amethyst is a pre-engineering student and an alumna of FIRST Robotics Competition team 2846, the FireBears. When she is not obsessing over robots, she can usually be found doing homework, singing the songs from Steven Universe way too loudly, or being an otaku. The open house at RAHS is only from 7 – 8 pm.